Germany invaded Luxembourg early on the 2nd and sent a note to Belgium demanding free passage of troops through Belgium territory for the attack on France. Britain assured France that the British Fleet would protect French coast and shipping from German attack. Antwerp surrendered, RN Division returned to England on the 11th, but approximately 1500 men of the 1st Naval Brigade crossed the border into Holland and were interned. The Division later moved to Egypt in preparation for the Gallipoli Campaign. The following despatch has been received from Field-Marshal Sir J. D. P. French, G. C. B., G. C. V. O., K. C. M. G., covering a despatch from Major-General A. Paris, C. B., R. M. A., relating to the operations round Antwerp from the 3rd to the 9th October. From Sir J. D. P. French, Field-Marshal, Commanding-in-Chief, to the Secretary of the Admiralty. In forwarding this report to the Army Council at the request of the Lords Commissioners of the Admiralty, I have to state that, from a comprehensive review of all the circumstances, the force of Marines and Naval Brigades which assisted in the defence of Antwerp was handled by General Paris with great skill and boldness. Although the results did not include the actual saving of the fortress, the action of the force under General Paris certainly delayed the enemy for a considerable time, and assisted the Belgian Army to be withdrawn in a condition to enable it to reorganize and refit, and regain its value as a fighting force. The destruction of war material and ammunition - which, but for the intervention of this force, would have proved of great value to the enemy - was thus able to be carried out. J. D. P. FRENCH, Field-Marshal, Commanding-in-Chief. The Brigade (2, 200 all ranks) reached Antwerp during the night 3rd-4th October, and early on. the 4th occupied, with the 7th Belgian Regiment, the trenches facing Lierre, with advanced post on the River Nethe, relieving some exhausted Belgian troops. About midday the 7th Belgian Regiment was forced to retire, thus exposing my right flank. A vigorous counter-attack, gallantly led by Colonel Tierchon, 2nd Chasseurs, assisted by our aeroplanes, restored the position, late in the afternoon. The two Naval Brigades reached Antwerp during the night, 5th-6th October. The 1st Brigade moved out in the afternoon of 5th to assist the withdrawal to the main 2nd Line of Defence. The retirement was carried out during the night, 6th-7th October, without opposition, and the Naval Division occupied the intervals between the forts on the 2nd Line of Defence. The bombardment of the town, forts and trenches began at midnight, 7th-8th October, and continued with increasing intensity until the evacuation of the fortress. During the day (8th October) it appeared evident that the Belgian Army could not hold the forts any longer. About 5. 20 p. m. I considered that if the Naval Division was to avoid disaster an immediate retirement under cover of darkness was necessary. General De Guise, the Belgian Commander, was in complete agreement. He was most chivalrous and gallant, insisting on giving orders that the roads and bridges were to be cleared for the passage of the British troops. The retirement began about 7. 30 p. m., and was carried out under very difficult conditions. All the roads were crowded with Belgian troops, refugees, herds of cattle, and all kinds of vehicles, making inter-communication a practical impossibility. Partly for these reasons, partly on account of fatigue, and partly from at present unexplained causes large numbers of the 1st Naval Brigade became detached, and I regret to say are either prisoners or interned in Holland. The Battalion (Royal Marine Brigade) Rear Guard of the whole force, also entrained late in the afternoon together with many hundreds of refugees, but at Morbeke the line was cut, the engine derailed, and the enemy opened fire. There was considerable confusion. It was dark and the agitation of the refugees made it difficult to pass any orders. However, the battalion behaved admirably, and succeeded in fighting its way through, but with a loss in missing of more than half its number. They then marched another 10 miles to Selzaate and entrained there. Colonel Seely and Colonel Bridges were not part of my command, but they rendered most skilful and helpful services during the evacuation. 1st Naval Brigade and 2nd Naval Brigade, 5 killed, 64 wounded, 2, 040 missing. Royal Marine Brigade, 23 killed, 103 wounded, 388 missing. Lieut. -Colonel A. H. Ollivant, R. A. Major Richardson, N. Z. Staff Corps. Fleet Surgeon E. J. Finch, R. N.
Lieutenant G. G. Grant, R.N.V.R. Sub-Lieutenant C. O. F. Modin, R.N.V.R. Commodore O. Backhouse, R. N., Commanding Brigade. Captain W. L. Maxwell, Brigade Major. Sub-Lieutenant H. C. Hedderwick, R.N.V.R. Lieut-Colonel C. Mc. N. Parsons, R.M.L.I., in command most of the time. Major A. H. French, R.M.L.I., 10th Battalion. Lieutenant D. J. Gowney, R.M.L.I., 10th Battalion. Chief Petty Officer B. H. Ellis, No. 748, B Co., R.N.V.R., London. Petty Officer (Acting) W. Wallace, O.N., Dev., 211, 130. Stoker Petty Officer W. S. Cole, O.N., Ch. 100, 113. Leading Seaman (Acting) H. D. Lowe, R. N. R., Dev., No. B. 2542. Quartermaster-Serjeant Kenny, R. F. R., Ch. A. 426. Serjeant G. H. Bruce, R. F. R., Ch. A. 631. Private G. H. Hall, R. F. R., Ch. B. 194. Private C. J. Fleet, R. F. R., Ch. B. 1585. Serjeant E. Walch (R. Naval Auxiliary Sick Berth Reserve), S. B. 508. A. PARIS, Major-General, General Officer Commanding-in-Chief. The flotilla was organised to prevent the movement of large bodies of German troops along the coast roads from Ostend to Nieuport, to support the left flank of the Belgian Army, and to prevent any movement by sea of the enemy’s troops. Operations commenced during the night of October 17th when the Attentive flying my flag accompanied by the monitors Severn, Humber and Mersey, the light cruiser Foresight and several torpedo boat destroyers, arrived and anchored off Nieuport Pier. Early on the morning of the 18th October information was received that German infantry were advancing on Westende village, and that a battery was in action at Westende Bains. The flotilla at once proceeded up past Westende and Middlekirke to draw the fire and endeavour to silence the guns. A brisk shrapnel fire was opened from the shore, which was immediately replied to, and this commenced the naval operations on the coast which continued for more than three weeks without intermission. During the first week, the enemy’s troops were endeavouring to push forward along the coast roads, and a large accumulation of transport existed within reach of the naval guns. On October 18th, machine guns from the Severn were landed at Nieuport to assist in the defence, and Lieutenant E S Wise fell gallantly leading his men. The Amazon, flying my flag was badly holed on the waterline and was sent to England for repairs, and during these early days most of the vessels suffered casualties, chiefly from shrapnel shell from the field guns of the enemy. It soon became evident that more and heavier guns were required in the flotilla. The Scouts therefore returned to England, while H.M.S. "Venerable" and several older cruisers, sloops and gunboats arrived to carry on the operations. As the heavier guns of the enemy came into play it was inevitable that the casualties of the flotilla increased, the most important being the disablement of the 6-inch turret and several shots on the waterline of the "Mersey," the death of the Commanding Officer and eight men and the disablement of 16 others in the "Falcon," which vessel came under a heavy fire when guarding the "Venerable" against submarine attack; the "Wildfire" and "Vestal" were badly holed, and a number of casualties caused in the ''Brilliant'' and "Rinaldo." It gradually became apparent that the rush of the enemy along the coast had been checked, that the operations were developing into a trench warfare, and that the work of the flotilla had, for the moment, ceased. The arrival of allied reinforcements and the inundation of the country surrounding Nieuport rendered the further presence of the ships unnecessary. The work of the squadron was much facilitated by the efforts of Colonel Bridges, attached to the Belgian Headquarters, and to him I am greatly indebted for his constant and unfailing support. Captaine de fregate Richard, of the "Dunois," Senior Officer of the French flotilla, whose courtesy and gallantry assisted to make the operations a success. Commander H. C. Halahan, of the "Bustard,” whose gunboat was constantly in action close to the shore. Lieutenant H. O. Wauton, of the "Falcon," who maintained his position in a heavy fire on the look-out for submarines, and was unfortunately killed. Petty-Officer Robert Chappell, O.N. 207788, of the "Falcon," who, though both legs were shattered and he was dying, continued to try and assist in the tending of the wounded. He shortly afterwards died of his wounds. Petty-Officer Fredk. William Motteram, of the "Falcon," O.N. 183216, for immediate attention to the wounded under fire on 28th October. Able Seaman Ernest Dimmock, of the "Falcon," O.N. 204549, who directly the casualties occurred in " Falcon," finding himself the only person unwounded on deck, went immediately to the helm and conned the ship. Leading Seaman John Thos. Knott, O.N.J. 1186, of the "Brilliant," who, when all men at his gun being killed or wounded, and himself severely wounded, endeavoured to fight his gun. Chief Engine Room Artificer William Ernest Brading, of the " Falcon," O.N. 268579. Leading Seaman John Keane, of the "Rinaldo," O.N. 204128. Private R.M.L.I. Joseph Martin, of the "Humber" (who landed with Marine detachment), O.N. Ch./15582. Stoker, 1st, Samuel Johnston, of the "Humber," O.N. Ch./282822 (R.F.R. Ch.B. 4090). Petty Officer Robt. Frederick Jennings, of the "Vestal," O.N. 157343 (R.F.R. Po. B. 1481). Petty-Officer Charles Henry Sutton, of the "Vestal” O.N. 158086. HORACE HOOD, Rear-Admiral, Dover Patrol. “Venerable," Captain V. H. G. Bernard. “Attentive," Captain C. D. Johnson, M.V.O. “Foresight," Captain H. N. Garnett. “Brilliant," Captain (ret.) H. Christian. “Sirius," Commander (ret.) W. H. Boys. “Severn," Commander E. J. A. Fullerton. “Humber," Commander A. L. Snagge. “Mersey," Lieutenant-Commander R. A. Wilson. “Vestal," Commander A. D. M. Cherry. “Rinaldo," Commander H. J. Kennard. "Falcon," Lieutenant H. O. Wauton (killed - 28 October 1914, shore gunfire). "Lizard,” Lieutenant-Commander Evelyn C. O. Thomson. "Lapwing," Lieutenant-Commander Alexander H. Gye. "Myrmidon," Lieutenant-Commander (ret.) R. H. B. Hammond-Chambers. "Racehorse," Lieutenant E. P. U. Pender. "Intrepide," Lieutenant de vaisseau Vaudier. In the summer and autumn of this year circumstances enabled offensive operations to be undertaken from the sea at certain points on the Belgian Coast. It is unnecessary to enter into the reasons for the various operations or the exact objectives attacked, since these are well known to Their Lordships. In all cases great care has been taken to confine the fire of the guns to objectives of military or naval importance, so as to inflict the minimum of loss of life and distress on the civil population, the larger number of whom are our allies. In order to carry this principle into effect, it has at times been necessary to modify and even postpone projected attacks. The results therefore have been effective rather than sensational. On the evening of the 22nd August I sailed with H M Ships Sir John Moore (Commander S B Miller RN), Lord Clive (Commander N H Carter R N ), Prince Rupert (Commander H O Reinold, R N ), and 76 other vessels and auxiliaries and on the following morning attacked the harbour and defences of Zeebrugge. The results were markedly successful, all the objectives selected were damaged or destroyed. It was satisfactory that extreme accuracy was obtained with the gun fire at the long ranges necessary for the best attack of such defences This accuracy fully justifies the novel methods used and the careful training in attention to details to which the vessels are subjected. A similar organisation was employed in subsequent attacks. On the 6th September I attacked Ostende with five monitors including General Craufurd (Commander E Altham R N.) and "M.25" (Lieutenant-Commander B. H. Ramsay, R.N. ), and damage was done to submarine workshops and harbour works. The enemy returned our fire with heavy guns of calibre probably larger than our own, and with considerable accuracy. Again the shooting on the part of our vessels was remarkably good, and the assistance rendered by the Auxiliary Craft most valuable. On the same day Westende was subjected to attack by H.M. Ships "Redoubtable" (Captain V. B. Molteno, R.N. ), "Bustard" (Lieutenant O. H. K. Maguire, R.N. ), and "Excellent" (Commander G. L. Saurin, R.N. ), under the direction of Captain V. B. Molteno, and with results that reflected credit on all concerned. On the 19th September, with several of the vessels, including H.M.S. "Marshal Ney" (Captain H. J. Tweedie, R.N. ), I carried out an .attack against certain defences in the neighbourhood of Middlekirke, Raversyde and Westende, which resulted in damaging and silencing the batteries. Valuable co-operation was received from .the French batteries in the vicinity of Nieuport. On the evening of the 24th September, I despatched H.M.S. "Prince Eugene" (Captain E. Wigram, R.N.) and one other monitor and the requisite auxiliary craft to bombard the following morning the coast of Knocke, Heyst, Zeebrugge and Blankenberghe (east of Ostende), while with the other vessels, including H.M.S. "Lord Clive" (Commander G. R. B. Blount, R.N. ), on the same day I carried out an attack on the fortified positions west of that place. Again, during these attacks, considerable damage was doae. On the 26tih, 27th and 30th .September I made further attacks on the various batteries and strong positions at Middlekirke and Westende. On the 6th, 12th, 13th and 18th October and 16th-19th November other batteries or positions of military value have been attacked by the vessels under my command. Up to the present, therefore, concerted operations of considerable magnitude have been carried out on six occasions, and on eight other days attacks on a smaller scale on fortified positions have taken place. The accuracy of the enemy's fire has been good. The damage inflicted on the enemy is known to include the sinking of one torpedo boat, two submarines and one large dredger, the total destruction of three military factories and damage to a fourth, extensive damage to the locks at Zeebrugge and the destruction of thirteen guns of considerable calibre, in addition to the destruction of two ammunition depots and several military storehouses, observation stations and signalling posts, damage to wharves, moles and other secondary places. Further, a considerable number of casualties are known to have been suffered by the enemy. H.M. Mine Sweeper "Brighton Queen," sunk by mine (6 October 1915). It is with regret that, among others, I have to report the death of Lieutenant-Commander H. T. Gartside-Tipping, R..N., of the Armed Yacht "Sanda," who was the oldest naval officer afloat. In spite of his advanced age, he rejoined, and with undemonstrative patriotism served at sea as a Lieutenant-Commander. Their Lordships will appreciate the difficulties attendant on the cruising in company by day and night under war conditions of a fleet of 80 vessels comprising several widely different classes, manned partly by trained naval ratings but more largely by officers of the Naval Reserve, whose fleet training has necessarily been scant, and by men whose work in life has hitherto been that of deep sea fishermen. I wish specially to mention the cordial assistance always tendered to me by the Vice- Admiral Favereau, Commanding the French Second Light Cruiser Squadron, whose patrol vessels under Commander Saillard have assisted to protect our ships from submarine dangers. In doing this, I regret to say, their patrols have lost three vessels and several gallant lives. E. H. BACON, Vice-Admiral, Dover Patrol. Commodore C. D. Johnson, M.V.O., 6th Flotilla. In command of the Destroyer Flotilla, and has performed much valuable work during the whole: of the operations, and directly responsible for the efficiency with which the patrol was conducted. Captain E. Wigram, H.M.S. "Prince Eugene." Commanded the detached squadron during a successful attack on Zeebrugge on 6th September, which caused considerable loss and inconvenience to the enemy. Flag Captain H. W. Bowring, Dover Patrol. Acted as Chief of my Staff during all the operations and afforded me most, valuable assistance. Commander W. G. H. Bickford, Dover Patrol. In charge of the forward observation party under the close fire of the batteries during two attacks, and largely assisted in correcting the fire of the guns. Mr. L. Scarlett, Skipper, R.N.R., H.M. Drifter "Hyacinth." On 25th September, off Zeebrugge, exhibited great coolness in action, remaining and completing his task though exposed to heavy gun fire. Lieutenant L. F. Robinson, H.M.S. "Lord Olive." Gunnery Lieutenant of "Lord Clive," the excellent shooting of which ship has contributed materially to the damage done. Lieutenant R. J. B. Drew, H.M.S. "General Craufurd." Lieutenant - Commander (now Commander) F. H. L. Lewin, 6th Flotilla. Sub-Lieutenant Malcolm N. English, R.N.R., Fleet Messenger 41. R. Spiers, E.R.A., O.N. M.10941, "Lord Clive." E. S. J. White, E.R.A., 4th C1., O.N. M. 12159, "Prince Rupert." A. H. Woodgate, Ldg. Signalman, O.N. 239957, "General Crauford." P. G. Hayward, E.R.A., 4th C1. (Act. ), O.N.M.11920, "Prince Eugene." S. T. Smith, Blacksmith, O.N. M.2725, "Marshal Ney." F. Comber, Seaman, R.N.R., O.N. 1622D. "Violet II." G. Wickwar, Ldg. Sig., O.N. 191551, "Cossack." J. Paterson, Chief E.R.A., O.N. 269167, “M.25”. S. W. J. Spooner, Ldg. Tel.. O.N. 222998, "Nubian." J. Tait, Chief E.R.A., 2nd C1., O.N. 279687. "Lord Clive." T. A. S. Thomson, E.R.A., 3rd C1., O.N. M. 12164, "Prince Rupert." C. Parker, Ch. Yeo. Sig., O.N. 161007, "Arrogant." S. A. Quinlan, Boy, 1st Cl., O.N. J. 30847, "General Craufurd." A. Thacker, Engineman, R.N.R., O.N. 1770E..S., "Fearless." R. G. Greening, Pte. R.M.L.I., Po., 13744 (R.F.R., B.1080). S. J. Pack, Deck-hand, R.N.R., O.N. 3870D.A., "Rosemma." R. Watson, Deck-hand, R.N.R, O.N. 4152D.A., "Violet II." A. Tushaw, Sergt., R.M.L.I., Ch. F, 12651, "Lord Clive." S. H. L. Macey, Petty Officer, O.N; 164791, "Sir John Moore." S. T. Pepperell, Shipwright, 2nd Cl., O.N. M.7016, "Prince Rupert." Office of the Vice-Admiral, Dover, 29th May, 1916. Since my last Despatch to their Lordships on 3rd December, 1915, the varied duties of this Patrol have been carried out with unremitting energy on the part of the Officers and men under my command. During the winter month's offensive operations on the Belgian Coast were much impeded by the shortness of the daylight hours and by gales of wind and bad weather. These same factors that impeded offensive action facilitated the work of the enemy in laying mines and in attacking our commerce in these narrow waters, since it assisted them to elude our patrols of protective vessels. Over 21,000 Merchant Ships, apart from Men-of-War and Auxiliaries, have passed through this Patrol in the last six months. Of these twenty-one have been lost or have been seriously damaged by the enemy. The losses in Merchant Vessels, therefore, have been less than one per thousand. On the other hand, to effect this very considerable security to our Merchant Shipping I regret that over 4 per cent, of our Patrol Vessels have been sunk and the lives of 77 Officers and men lost to the Nation. No figures could emphasise more thoroughly the sacrifice made by the personnel of the Patrol and the relative immunity ensured to the commerce of their country. Besides the foregoing the Patrol assists in the protection of the flank of all the sea Transport to and from our Army in France. The number of vessels that have passed and also of the troops that have been carried are known to Their Lordships, but it is well to call attention to the fact that this vast transport of troops has been so thoroughly safeguarded that not one single life has been lost during the sea passage. The work of the Destroyer Flotilla throughout the winter has been incessant and arduous and thoroughly well carried out. Certain opportunities have arisen of bombarding the enemy's positions in Belgium. On these occasions the necessary minor operations have been carried out. In addition to the daily reconnaissance and protective work performed by the Royal Naval Air Service on the coast, eleven organised attacks against the enemy's Aerodromes and thirteen attacks on enemy vessels have been carried out. Nine enemy machines and one submarine have been destroyed by air attack and appreciable damage has been inflicted on military adjuncts. The services rendered by the Naval Airmen in Flanders, under Acting Captain Lambe, have been most valuable. It is equally advantageous to maintain the offensive in the air as it is to do so on land or at sea. It is with considerable satisfaction, therefore, that I am able to report that, with only one exception, all the aeroplanes destroyed were fought over the enemy's territory and that all the seaplanes were brought down into waters off the enemy's coast. The advent of spring weather has lately enabled me to take measures to limit the extent to which the submarine and other vessels of the enemy had free access to the waters off the Belgian coast. The success achieved has, so far, been considerable, and the activities of submarines operating from the Belgian Coast have been much reduced. We have destroyed several of the enemy's submarines and some of his surface vessels. Our losses, I regret to say, were four Officers killed, one wounded; men: 22 killed, two wounded. It is to the energy and endurance of the Officers and men of the vessels that have been employed, and who are now daily on patrol that the success of these operations has been due. Whether of our Royal Navy, of the French Navy, of our Mercantile Marine or our Fishermen, all have exhibited those qualities most valued at sea in time of war. My cordial thanks are due to Rear-Admiral de Marliave for the hearty co-operation he has afforded me during the whole of the foregoing period. During these operations I was afforded much assistance by Commodore R. Tyrwhitt, C.B., Commodore C. D. Johnson, M.V.O., D.S.O., and Captain F. S. Litchfield-Speer, as well as Commandant Excelman, of the French Navy. Captain H. W. Bowring, D.S.O., acted most ably as Chief of my Staff throughout the operations. Enclosed is a list of Officers and men I desire to bring to their Lordships' notice for distinguished and meritorious services, in addition to those of the Auxiliary patrol and Rqyal Naval Air Service previously specially forwarded by me during the period under report. (Sd.) R. H. BACON, Vice-Admiral Dover Patrol. Captain F. S. Litchfield-Speer, D.S.O. Carried out several important operations under difficult circumstances off the enemy's coast. Commander George Louis Downall Gibbs. Commanded a Division of Destroyers with marked ability and dash in action against the enemy. Commander Henry Gerard Laurence Oliphant, M.V.O. Commanded a Division of Destroyers in action and on patrol duties off the enemy’s coast. Commander Reginald Lionel Hancock. Carried out surveying operations of considerable importance under heavy gun fire off the enemy's coast. Lieutenant Henry Forrester. Carried out dangerous patrol duties with marked ability. Lieutenant Rudolf Henry Fane De Salis. Commanded a detached Division on several occasions in close proximity to the enemy's coast. Acting Lieutenant James Towrie Muir, R.N.R. In command of a Division of Drifters during several operations off the enemy's coast. Skipper Robert George Hurren, R.N.R. Distinguished conduct which led to the destruction of an enemy Submarine Boat. Chief Artificer Engineer Thomas Robson Hall, R.N. Exceptional services during War operations. Lieut.-Commr. John Stewart Gordon Fraser, R.N. Lieut.-Commr. Mountague Robert Bernard, R.N. Sub-Lieutenant Robert Don Oliver, R.N. Yeoman of Signals A. W. Harding, O.N. 229905. Chief Stoker J. Brown, O.N. 290363. Leading Signalman J. Wise, O.N. 222824. Petty Officer, 1st Class, C. W. Moore, O.N. 179983. Chief Engine Room Artificer R. Sheppard, O.N. 270663. Chief Petty Officer H. Barber, O.N. 165446. Chief Engine Room Artificer Robert Shires, O.N. 271126. Engine Room Artificer, 1st Cl., H. Robertson, O.N. 270936. Chief Engine Room Artificer, 1st Cl., G. F. Cockrell, O.N. 268235. Acting Chief Petty Officer Wm. Ewles, O.N. 154421. Stoker Petty Officer A. A. Bradley, O.N 300678. Stoker Edward Madden, O.N.(K.) 25097. Chief Petty Officer Charles Darton, O.N. 187656. Ch. Armourer J. T. Lewis, O.N. 340703. Ch. Armourer H. Goodwin, O.N. 345418. Petty Officer J. Hailstone, O.N. 181161. Electrical Artificer, 2nd Cl., H. A. Hughes, O.N. 347720. Ldg. Seaman C. H. Holmes, O.N. 191648. Chief Petty Officer T. A. W. Collard, O.N. 133361. Signalman J. C. Duley, O.N.J. 13042. Chief Petty Officer Jas. Southwood, O.N. 117014. 2nd Hand J. Gardiner, R.N.R., O.N. 1431 S.A.
2nd Hand F. W. Saunders, R.N.R., O.N. 910 S.A.
2nd Hand W. J. Sutton, O.N. 891 S.A.
Chief Motor Boatman G. Culverwell, M.B. 242. Chief Engine Room Artificer G. Barrowman, O.N. 269387. Leading Signalman G. V. McKenzie, O.N. 233487. Leading Signalman C. W. Lumley, O.N. 226962. Leading Signalman R. Giddings, O.N. J.4044. Chief Engine Room Artificer J. E. Pether, O.N. 270497. Chief Engine Room Artificer A. Matthews, O.N. 271000. Leading Signalman T. Young, O.N. 223558. Engine Room Artificer L. C. Boggust, O.N. 271134. Acting Chief Petty Officer W. J. Brown, O.N. 160889. Able Seaman William Austin, O.N. 194423. Petty Officer W. A. Osborne, O.N. 235133. Ldg. Seaman E. Savage, O.N. J. 8986. Yeoman of Signals W. C. Chapman, O.N. 213631. Able Seaman O. J. Broers,O.N.J. 9965. Petty Officer, 1st Cl, G. Arlingham, O.N. 174787. Petty Officer G. J. L. Staff, O.N. 237841. Petty Officer J. Penman, O.N. 231159. Engineman J. Berry, R.N.R., O.N. 1715 E.S. Stoker (Acting Engineman) D. B. Knowles, R.N.R., O.N. 2557 T.
Able Seaman W. J. Hunt, R.N.R. O.N.J. 19181. Deck Hand James Latta, R.N.R., O.N. 2364 S.D. Leading Deck Hand William Wigg, O.N. 2722 S.D. Action with Enemy Destroyers off the Belgian Coast on the 21st March, 1918. Not all casualties directly linked to Belgian Coast operations have been identified. However, other naval casualties listed as taking place in Belgium, such as the Royal Naval Air Service, RN Siege Guns and RM Howitzers, have been included to give some idea of the Royal Navy's broader role in the country. Commander Henry Crosby Halahan, R.N. Lieutenant Ion Beauchamp Butler Tower, R.N. For conspicuous coolness and bravery in charge of a naval gun on shore in Belgium, when subjected to heavy and accurate fire from hostile artillery on the 28th April, 1915. Sub-Lieutenant Arthur Henry Seymour Casswell, R.N. For conspicuous coolness and gallantry on the 28th April, 1915, when in charge of a naval gun on shore in Belgium, in removing ammunition from a burning building under heavy and well directed fire. Commander Henry Crosby Halahan, R.N. For his services in command of the Naval Heavy Batteries attached to the Belgian Army since January 1st, 1915. In the operations on the Belgian front, from September 25th onwards, he displayed a gallantry and devotion to duty worthy of the best traditions of the Royal Navy. Commander Astle Scott Little Johns, R.N., in recognition of distinguished service in command of armoured trains in Flanders. Flight Sub-Lieutenant James Brian Patrick Ferrand, R.N. On the 28th November, 1915, accompanied by First Class Air Mechanic Oldfield as gunner, Flight Sub-Lieutenant Ferrand attacked a hostile seaplane, which was accompanied by three more seaplanes, and a destroyer, off the Belgian coast, and brought it down by gunfire into the water, where it immediately sank. He then attacked the destroyer, and only abandoned the attack after coming under heavy shell fire both from the destroyer and the shore batteries of Westende. Flight Sub-Lieutenant Taunton Elliott Viney, R.N. For his services on the 28th November, 1915, when, accompanied by le Lieutenant en second de Sinçay as observer, he destroyed a German submarine off the Belgian coast by bombs dropped from an aeroplane. Le Lieutenant en second Colley Saint-Paul Comte de Sinçay, attached to No. 1 Wing, Royal Naval Air Service. For his services in connection with the destruction of a German submarine by bombs dropped from an aeroplane on the 28th November, 1915. Lieutenant Arthur William Lancelot Brewill, R.N. For his services in command of a naval gun on shore in Flanders. The KING has been pleased to give and grant unto Lieutenant-Commander (Acting Commander) Reginald Gregory, R.N., and Lieutenant-Commander (Acting Commander) Oliver Locker-Lampson, M.P., R.N.V.R., His Majesty's Royal licence and authority to wear the Insignia of Officer of the Order of Leopold, which Decoration has been conferred upon them by His Majesty the King of THE BELGIANS in recognition of valuable services rendered by them. Commander Henry Gerard Laurence Oliphant, M.V.O., R.N. Capt. Charles Laverock Lambe, R.N. For his valuable services in command of the R.N.A.S. units on the Belgian Coast; he is very largely responsible for the good service in the varied duties carried out by them against the enemy. Flt. Lieut. Herbert George Brackley, D.S.C., R.N.A.S. In recognition of his services on the morning of 14th April, 1917, when he carried out a raid on Bruges Harbour with good results in spite of difficult conditions. Great credit is due to him for his persistence and determination. He also dropped bombs on Ostend seaplane base on the night of 3-4 May, 1917, making two trips. Flt. Sub-Lieut. Valentine Edgar Sieveking, R.N.A.S. In recognition of his services on the night of 3rd to 4th May, 1917, when he dropped bombs on Ostend seaplane base with good results, making two trips. Capt. Charles Samuel Wills, R.N. Capt. Colin Kenneth MacLean, R.N. Cdr. John Stewart Gordon Fraser, R.N. Cdr. Ion Hamilton Benn, M.P., R.N.V.R. In recognition of their services in the bombardment of Zeebrugge on the 11th-12th May, 1917, and of Ostend on the 4th-5th June, 1917. Flt. Sub-Lieut. Norman Richard Cook, R.N.A.S. For his services in an air-raid on Zeebrugge Mole and hostile shipping, on the 27th of May, 1917. Flt. Lieut. Cecil Hill Darley, R.N.A.S. For conspicuous skill and gallantry on the night of the 2nd July, 1917. One of his engines having seized whilst he was over Bruges, he dropped his bombs on the objective and managed to fly his machine home on one engine and effected a safe landing on the aerodrome. Flt. Sub-Lieut. Edward Robert Barker, R.N.A.S. In recognition of his services on the occasion of an air raid on the Solway works at Zeebrugge on the night of the 15th-16th July, 1917, when bombs were dropped on the objective with good results. Cdr. Hubert Henry de Burgh, R.N. For his services in command of a destroyer in the action with enemy destroyers off the Belgian coast on the 5th June, 1917, when one of the enemy's destroyers, S.20, was sunk. Cdr. de Burgh succeeded in saving seven men of S.20's crew while under heavy fire from the shore batteries and with three German seaplanes hovering overhead. Lieut.-Cdr. Edye Kington Boddam-Whetham, R.N. For his services in command of a destroyer in the action with enemy destroyers off the Belgian coast on the 5th June, 1917. He handled his ship well in the face of superior forces and under the fire of the shore batteries. Lieut Eric Pole Welman, R.N. In recognition of his gallantry in action off the Belgian Coast. Flt. Cdr. Harold Austen Buss, R.N.A.S. For his services on the occasion of a bombing raid on Bruges Docks on the night of the 2nd-3rd September, 1917, when numerous direct hits on the docks, submarine shelters and railway sidings on the quay were obtained. Flt. Lieut. John Fleming Jones, R.N.A.S. In recognition of his services on the night of the 15th-16th August, 1917, when under adverse weather conditions, he dropped bombs on railway sidings at Ostend causing a fire which continued to burn as long as it was under observation. Flt. Sub-Lieut. Charles Beverley Sproatt, R.N.A.S. Carried out a bombing attack on Bruges Docks on the 4th September, 1917, obtaining direct hits. He was subjected to heavy and accurate anti-aircraft fire, and his machine was shot about and radiator pierced. Flt. Sub-Lieut. Leonard William Ormerod. R.N.A.S. Flt. Sub-Lieut. John Southey Wright, R.N.A.S. In recognition of their services on the 5th September, 1917, when they carried out a bombing attack on Bruges Docks, obtaining direct hits. Obsr. Sub-Lieut. Paul Breweher, R.N.A.S. In recognition of his services on the night of the 15th-16th August, 1917, when, with Flt.-Lieut. Jones, in spite of adverse weather conditions, he dropped bombs on railway sidings at Ostend, causing a firewhich continued to burn as long as it was under observation. Obs. Lieut. Russell William Gow, D.S.C., R.N.A.S. For conspicuous gallantry and devotion to duty in carrying out a photographic reconnaissance of the Belgian coast under difficult conditions on the 15th October, 1917. Obs. Lieut. Gow has also carried out a large amount of valuable spotting work for H.M. Monitors, both by day and night, including the successful operations against Zeebrugge on 12th May, 1917, and against Ostend on 5th June, 1917. Flt. Lieut. Richard Gregory Gardner, R.N.A.S. In recognition of the great zeal and gallantry displayed by him on the night of the 15th October, 1917, when a bombing raid was carried out on Bruges Docks and good results obtained in spite of heavy and accurate anti-aircraft fire. This officer has taken part in thirty-six bombing raids. Flt.-Lieut. John Foster Chisholm, R.N.A.S. In recognition of his services on the 6th December, 1917, when he carried out a photographic reconnaissance in the vicinity of Zeebrugge, and for the great skill and determination with which he has carried out his duties at all times. Lieut. (now Lieut.-Cdr.) John Norman Tait, R.N. In recognition of his services as Navigating Officer of one of H.M. Ships during an attack on the Naval Works at Ostende on the 22nd September, 1917. Actg. Flt. Cdr. Cyril Fraser Brewerton, R.N.A.S. Flt. Obs. Hector Albert Furniss, R.N.A.S. For the skill and courage displayed by them in carrying out many long and valuable photographic reconnaissances over enemy territory, particularly over Ostende on the 21st February, 1918. Flt. Lieut. Bertie Arthur Millson, R.N.A.S. For the skill and courage displayed by him in carrying out two successful bombing raids on Bruges Docks on the night of 17th-18th February, 1918. This officer has taken part in many night bombing raids. Flt. Lieut. John de Campbourne Paynter, R.N.A.S. For the good work performed by him during a bombing attack on Ostende Seaplane Base on the 3rd March, 1918, carried out in spite of very adverse weather conditions. He has shown great zeal and courage as a fighting pilot, having destroyed several enemy machines, and been twice wounded in aerial combats. Flt. Lieut. Frederick George Horstman, R.N.A.S. For good services rendered in a bombing attack on Ostende Seaplane Base on the 3rd March, 1918, when many direct hits were made. The raid was carried out in spite of very adverse weather conditions. He has also shown skill and courage as a fighting pilot during many engagements with the enemy. Flt. Sub-Lieut. Thomas Arthur Warne-Browne, R.N.A.S. Obs. Sub-Lieut. Frederick Stratton Russell, R.N.A.S. For the skill and determination displayed by them on the 18th March, 1918, when carrying out a reconnaissance over Bruges and Blankenberghe under heavy anti-aircraft fire. Both these officers have taken part in many reconnaissances over the enemy's lines, often in face of heavy anti-aircraft fire and attacks by hostile aircraft, and have always displayed great gallantry and determination. Flt. Lieut. Valentine Edgar Sieveking, D.S.C., R.N.A.S. For skill and determination in attacking enemy aerodromes, docks, etc., with bombs. On the night of the 17th-18th February, 1918, he carried out two bombing attacks on Bruges Docks, and on the following night he again carried out two attacks, one on St. Denis Westrem Aerodrome and one on Bruges Docks. His zeal and determination cannot be too highly praised. Flt. Lieut. Stanley Wallace Rosevear, D.S.C., R.N.A.S. For the skill and gallantry displayed by him on the 15th March, 1918, when he attacked a formation of eight enemy aircraft, destroying two of the enemy machines. This officer has destroyed numerous enemy machines and is a very skilful and dashing fighting pilot. (ii). - Operations on the Belgian Coast. Capt. Bernard St. George Collard, R.N. Capt. John Alfred Moreton, R.N. Lieut.-Cdr. (Act. Cdr.) Robert Herbert Borgnis Hammond-Chambers, R.N. Lieut.-Cdr. Percy Ralph Passawer Percival, R.N. Eng. Lieut.-Cdr. Henry Baker, R.N.R. Lieut. Llewellyn Vaughan Morgan, R.N. Payr. John McLeod More, R.N. Sto., 1st Cl., Harry Anderson, O.N. K15032 (Po.). Serjt. William Arthur Arnold, R.M.L.I., No. Ply./ 10498. CE.R.A., 1st Cl., George James Burn, O.N. 268389 (Ch.). Arm. Edward William Egland, O.N. 345903 (Dev.). Ch. Sto. Alexander Greenway, O.N. 291090 (Ch.). Sto., 1st Cl., Joseph Edward Hewitson, O.N S.S.110186 (Po.). Act. Ch. Arm. Thomas Keen, O.N. 345651 (Ch.). C.P.O Peter Lourie, O.N. 178721 (Ch.). Ch. Sto. Edward Luckett, O.N. 160521 (R.F.R. Ch./A2044). Ldg. Sea. Henry James Lutman, O.N. 229224 (Po.). Ch. Shipwt. Edward Major, O.N. 345491 (Ch.). C.E.R.A., 2nd Cl. (now Act. Art. Engr. ), Ralph Victor Nelson, O.N. 272497 (Po.). P.O Harry William Nye, O.N. 187378 (Ch.). Ldg. Sto. Frank George Phelps, O.N. 301410 (Po.). Ch. Sto. William James Sandover, O.N. 296792 (Dev.). Blacksmith Joseph Bowes Sowerby O.N. 307064 (Ch.). Ch. Sto. Jonah Stone, O.N. 282481 (Dev.). P.O. Charles Albert Terry, O.N. 202486 (Ch.). Ldg. Sea. James Henry Trewartha, O.N. J.1053 (Dev.). Ldg. Sea. Walter Williams, O.N, 175515 (R.F.R. Ch./B.10966). To receive a Bar to the Distinguished Service Medal. C.P.O. Frederick Robinson, D.S.M., O.N. 189448 (Ch.). Lieut.-Cdr. Reginald James Blakeney Drew, R.N. Lieut.-Cdr. Norman Cameron Moore, R.N. Lieut.-Cdr. Henry Forrester, D.S.C., R.N. Asst. Payr. (Act. Payr.) Charles Gordon Clark, R.N.R. Ch. Art. Ehg. John Wright, R.N. Warrant Shipwt. Richard Charles Ward, R.N. C.E.R.A., 2nd Cl., Thomas Brooks, O.N. 270675 (Dev.). P.O. Michael Brown, O.N. 193916 (Dev.). C.E.R.A., 2nd Cl., George Carter, O.N. 270392 (Ch.). P.O. Frederick Champness, O.N. 188738 (Ch.). Act. Ch. Sto. George Henry Crabb (alias Harry Clark), O.N. 283374 (Po.). Sto. P. O. Albert Davey, D.S.M., O.N. 312329 (Dev.). A.B. Herbert Thomas Gilbert, O.N. 214333 (Dev.). Sto., 1st Cl., Michael Henry, O.N. 307662 (Dev.). E.R.A., 2nd Cl., Edgar Hooper, O.N. M55 (Po.). Ldg. Sto. Percival Edward Clifford Knightly, O.N. 310304 (Ch.). C.P.O. George Thomas Lee, O.N. 181610 (Ch.). Ldg. Sea. Albert Alfred James Limbrick, O.N. J6947 (Po.). P.O. Herbert Cecil Lucas, O.N. 189171 (Ch.). Sea. Malcolm McLean, R.N.R., O.N. 4280B. A.B. Sidney Thomas Major, O.N. J16838 (Po.). Sto., 1st Cl., Frederick Pardey, O.N. 164067 (R.F.R. Po./B.976). Corpl. Francis Parkins, R.M.L.I., No. Po./11501. Sto. P.O. Henry Charles Rainbow, O.N. 296938 (Ch.). C.E.R.A., 1st Cl., William Charles Smith, O.N. 268716 (Ch.). P.O. Edward Standen, O.N. 188223 (Ch.). Ch. Arm. David Waters, O.N. 342002 (Ch.). P.O. Teleg. Thomas Walter Woodhouse, O.N. 238833 (Ch.). Flt. Lieut. James Alpheus Glen, R.N.A.S. For exceptional gallantry and skill as a fighting pilot and flight leader. On the 7th July, 1917, he attacked two seaplanes off Ostend. In conjunction with other pilots he shot down one which crashed into the sea. The second he attacked himself, and after a short combat it also crashed into the sea, sinking immediately. He has destroyed and driven down out of control many enemy machines. Obs. Lieut. Cyril Chapman, D.S.C., R.N.A.S. In recognition of his services on the 21st March, 1918, when he carried out successful spotting for the bombardment of Ostend. On other occasions he has carried out valuable reconnaissances for the Fleet. Fit. Lieut. (Act. Flt. Cdr.) Leonard Horatio Slatter, D.S.C., R.N.A.S. For distinguished service rendered during a bombing attack on Ostende Seaplane Station on the 26th March, 1918, when, in spite of intense anti-aircraft fire and the glare of numerous searchlights, he descended to 400 feet over his objective to drop bombs. Flt. Cdr. Slatter is a leader of unqualified keenness and dash and possessed of exceptional courage and judgment. Staff Payr. Henry Prosser Williams, R.N. For services with the Royal Naval Siege Guns on shore in Flanders from July 1917 to February, 1918. He has shown personal bravery, sound judgment, and great devotion to duty and in addition to his regular duties has performed executive officers' work, which required technical skill and judgment. Lieut.-Cdr. (Act. Cdr.) Jamieson Boyd Adams, R.N.R. For services with the Royal Naval Siege Guns on shore in Flanders from August, 1916, to March, 1918. He has on many occasions displayed the greatest gallantry and devotion to duty, and set a high example of cheerfulness, thoroughness and keenness. Lieut. Viscount Maidstone, R.N.V.R. For services with the Royal Naval Siege Guns on shore in Flanders from December, 1915 to August, 1917. During this period he showed an utter contempt of danger and the greatest devotion to duty. As Plotting Officer he quickly acquired the necessary technique, combining with it sound judgment and a sense of responsibility which rendered his work absolutely reliable. On one occasion, his gun-pit being destroyed by enemy fire, he showed marked ability in handling ratings with courage and decision. Lieut. Edward Hilton Young, M.P., R.N.V.R. For services with one of the most advanced Royal Naval Siege Guns on shore in Flanders from July, 1917, to February, 1918. For many months the gun-pit and adjoining camp were subjected to continual heavy fire from machine guns and guns of the largest calibre. The conduct and example of this officer during these arduous times was beyond all praise, and he displayed qualifies of leadership of the highest order. His gun was brought into action with skill and promptitude, and it was due to his example that the splendid moral of the ratings under him was maintained. Eng.-Lieut. Ernest Miller Fittock, R.N. For the coolness and promptitude shown by him in keeping the engines of one of H.M. ships working at high speed when the ship had been holed in the engine room below the water-line in action off the Belgian coast. Act. Lieut. Basil Baseby, R.M.A. In recognition of his services with the R.M.A. Siege Guns in Flanders. On 18th March, 1918, an enemy shell entered the right gun-pit, dismounting the gun, and causing a fire. Lieut. Baseby had been gassed the previous evening, and was still on the sick list, but at once proceeded to the gun-pit, and by his example and personal efforts extinguished the fire, which might otherwise have reached the ammunition in the ready magazine. The battery was under heavy shell fire at the time. He has at all times displayed zeal, cheerfulness, and ability. Sergt. Benjamin Peter Beale, R.M.A., No. R.M.A./9515. Gnr. Albert Henry Bristow, R.M.A., No. R.M.A./7737 (R.M.A./B1265). Clr. Sergt. (act. Battry. Sergt.-Maj.) William Robert Bryan. R.M.A., No. R.M.A. /2601 (R.M.A. /A0588). C.P.O. William Henry Duke O.N.202254 (Ch.). P.O. Frank Pegrome Eaglestone, O.N. 220100 (Ch.). C.E.R.A., 2nd Cl., George Samuel Lancaster, O.N. M1045 (Dev.). A.B. Reginald Lewis Lennard, O.N. 23.6221 (Ch.). Arm. Joseph Leonard Phillips, O.N; 295133 (Ch.). Ch. Sto. James Screech, O.N. 279461 (Dev.). P.O. George Galbraith Todd, R.N.V.R., O.N. (Clyde) 5/2409. P.O., 1st Cl., Robert Webster, alias George Woods, O.N. 103702 (Po.). Sto., 1st Cl., Harry James Wilson, O.N. K6403 (R.F.R., Ch./B10888). Act. Ch. S.B.S. Ernest Thomas Young, O.N. 351253 (Ch.). Capt. Alan Cameron Bruce, D.S.O., R.N. Cdr. Murray MacGregor Lockhart, R.N. Maj. (temp. Col.) Hubert Louis Jones, R.M.L.I. Fleet Payr. Thomas William Spencer Seath, R.N. Fleet Surg. William Wallace Keir, M.B., R.N. Eng.-Cdr. Edward James Rosevere, R.N. Lieut.-Cdr. Daniel Edward St. Martin Delius, R.N. Eng. Lieut.-Cdr. (act. Eng.-Cdr.) Herbert Gordon Hean, R.N.R. Lieut. Sydenham Ernest Stubbs, R.N.R. Lieut. Edward Robert Pitt, R.N.R. Lieut. Wallace Hardy Stephen, R.N.V.R. A.B. Charles Buckingham, O.N. J42086 (Ch.). E.R.A., 2nd Cl., Harold George Campion, O.N. M11214 (Dev.). A.B. Walter Matthew Chapman, O.N. 232859 (Ch.). A.B. John William Cleggett, O.N. J10263 (Ch.). A.B. Frederick Stephen Fullbrook, R.N.V.R., O.N. (London) Z3232. A.B. Herbert Hyde, O.N. 213948 (Ch.). A.B. Richard Warr, R.N.V.R., O.N. (London) Z4097. Cdr. Roger L'Estrange Murray Rede, R.N., Commanding H.M.S. "Botha." He took his ship through a heavy barrage of gun-fire, and, without waiting to ascertain that the rest of his division were following, proceeded to engage the enemy with ram, torpedo and gun fire. He rammed and cut in two an enemy torpedo-boat. The success of the action was undoubtedly due to his gallant leadership and initiative. To receive a Bar to the Distinguished Service Order. Lieut.-Cdr. Percy Ralph Passawer Percival D.S.O., R.N., Commanding H.M.S. "Morris." For the great initiative and promptitude shown by him. Kept good station during the first stage of the action, opening fire with . "Botha." On the latter being disabled, showed great initiative in continuing and pressing home the action, torpedoing and sinking an enemy torpedo-boat. Showed great promptitude, in taking "Botha" in tow and brought her safely into harbour. Lieut. David Graham. Horndon Bush, R.N., H.M.S. "Botha." For the extremely cool and able manner in which he controlled gunfire. His orders were given with precision, and he was quick to seize the opportunity to shift to a better target. There was no hitch whatever in the control, and this was entirely due to his very careful organisation and training of control parties. Made preparations to be taken in tow with admirable promptitude. Lieut. Basil Rupert Willett, R.N. Showed the greatest courage and judgment in an attack made on five enemy destroyers after they had broken off the engagement with the "Botha" and "Morris," scoring a direct hit with a torpedo on one of these vessels. Art.-Eng. Evan Edward Wellman, R.N. For the exceptional coolness and initiative shown by him when, early in the action, a shell damaged the auxiliary steam pipes of H.M.S. "Botha." When escaping steam prevented the watch-keepers from making their escape from the boiler-room affected, Art.-Eng. Wellman isolated the compartment by closing stop-valves from the upper deck, the ship being under heavy fire at the time. By his action he saved the lives of the men and assisted them to escape. A.B. Leonard George Bolden, O.N. J27285 (Ch.). P.O., 1st Cl., Ernest Albert Edward Gander, O.N. 198304 (Ch.). C.E.R.A., 1st Cl., Edward Arthur James, O.N., 270161 (Dev.). Ldg. Sea. William John McCann, O.N. 231163 (Dev.). Sto. P.O. Frederick Plumbly, O.N. 295301 (Ch.). Teleg. Herbert Arthur Douglas Sullivan, O.N. J29866 (Ch.). P.O., 1st Cl., Francis Vittle, O.N. 184871 (Dev.). Ch. Motor Mech. William Wallace, D.S.M., R.N.V.R., O.N. M.B.1482. Eng. Lieut. Cdr. Gerald Robins, R.N. Lieut. Hugh Aldersey Baylor, R.N. Lieut. Dermot Patrick Gather, R.N. Surg. Andrew Harman Pearce, R.N. Sub-Lieut: (now Act. Lieut.) Frank Alan Winson Ramsay, R.N. ldg. Sto. Walter Ernest Breed, O.N. K8273 (CL). S.B.A. Edwin Cole, O.N. M7238 (Ch.). Shipwt., 2nd Cl., Alfred Distin., O.N. M6749 (Ch). Ldg. Teleg. William Halsey, O.N. J24951 (Ch.). Serjt. Hart Jinks, R.M.L.I., No. CL/13256. Act. Sto. P.O. James Johnson, O.N. 291540 (Dev.). P.O. George McDonald, O.N. 195582 (Ch.). Motor Mech. John William Merrick, R.N.V.R., O.N. M.B. 1989. Ldg. Sto. Ernest Charles Rowe, O.N. K2738 (Dev.). E.R.A., 1st Cl., William Charles Smith, O.N. 268716 (Ch.). To Receive a Second Bar to the Distinguished Service Cross. Lieut, (temp. Capt.) Thomas Frederick Le Mesurier, D.S.C., R.A.F. For gallantry and consistent good work. He has at all times displayed the utmost gallantry in action, and by his determination and skill has set a very fine example to the pilots of his squadron. On the 23rd April, 1918, in spite of bad weather conditions, he successfully dropped bombs on the Ostend Docks from a height of 800 feet amidst very intense anti-aircraft and machine-gun fire. He also made valuable observations. He has taken part in many bomb raids, and has destroyed or driven down out of control several enemy machines. Lieut. (actg. Capt.) John Herbert Hollingsworth, R.M. In recognition of his services with the Royal Naval and Royal Marine Artillery siege guns in Flanders from November, 1916, to May, 1918. During this period he has displayed great zeal and devotion to duty, and has done very valuable work in ranging the heavy guns mounted in the sector. Lieut, (now Lieut.-Cdr.) William Scott Chalmers, R.N In recognition of his services with the Horse Boats on the Belgian Canals and the Naval Siege Guns on shore in Flanders between December, 1914, and April, 1915. He at all times displayed the seamanlike qualities of quickness and resource and personal courage of a very high order. His good example of cheerful and fearless work under the most trying circumstances contributed in a great degree to the excellent behaviour of the men. Honours for Services in Minesweeping Operations. Lieut. Arthur Edgar Buckland, D.S.C., R.N. In recognition of the courageous and efficient manner in which he controlled and carried out the minesweeping operations off the Belgian coast, including the minefields off Ostend and Zeebrugge, which presented some particularly dangerous and difficult features. Cdr. (actg. Capt.) Henry Francis Cayley, D.S.O., R.N. For the gallant manner in which he personally conducted difficult minesweeping operations, rendering invaluable advice. Lieut. Warwick Lindsay Scott, R.N.V.R. Was in command of a section of minesweepers employed bottom sweeping off Ostend. While sweep was being hove in, a mine came off foul of sweep, Lieut. Scott went aft and cut the circuit wire on outside of mine, making the mine safe. Mine was then salved. Lieut. Reginald Joynson, R.N.V.R. Displayed courage and good judgment in the work of opening up Zeebrugge, sweeping for and sinking mines in the harbour. Eng. Lieut. Charles Frederic Holt, R.N.R. When his ship struck a mine off Ostend on the 19th October, 1918, this Officer showed great courage in going into the foremost stokehold, the stokehold being full of steam and rapidly filling with water, and the ship likely to hit another mine at any moment. He also rescued a badly injured man. Ch. Motor Mech. Archibald Peter Campbell, R.N.V.R., O.N. MB1920. Dkhnd. Phillip John Langley Day, R.N.R., O.N. 19902D.A. 2nd Hnd Angus MacKay, R.N.R., O.N. 2258D. Sig. Harry Morton, R.N.V.R., O.N. (Tyneside) Z9391. Honours for Services in Monitors off the Belgian Coast between the 1st July and 11th November, 1918. Cdr. (now Capt.) Patrick Edward Parker, R.N. Lieut.-Cdr. Ronald Granville Studd, R.N. Lieut. John Hermann Brougham, R.N. Yeo. Sigs. George William Allen, O.N. 229961 (Ch.). M.A.A. William George Clifford, O.N. 178349 (Ch.). Ch. Shipwt. Thomas Colquhoun, O.N. 341187 (Ch.). Ldg. Teleg. Alexander McKentosh Cowie, O.N. J18622 (Dev.). Act. C.P.O. Ernest Glenister, O.N. 197147 (Ch.). P.O. George Thomas Gray, O.N. 210801 (Ch.). Sergt. Frank William Ladd, R.M.L.I., No. Ch/10569. Actg. C.P.O. Ernest Thomas Mainprize, O.N. 184923 (Ch.). Ch. Sto. William Moorcraft, O.N. 276096 (Ch.). C.P.O. Edgar Terry, O.N. 166452 (Ch.). P.O. James Valentine Thomson, O.N. 193744 (Ch.). Ldg. Sea. George Wonnacott, O.N. J4876 (Dev.). Lieut.-Cdr. Eberhard William Ernest Callwell, R.N. Lieut.-Cdr. William Simon Fraser Macleod, R.N. Lieut. Henry Maurice Chidley Purdon, R.N. Lieut. Frederick Philip Hart, R.N. Ch. Sto. William Armstrong, O.N. 293113 (Ch.). Ch. Sto. Joseph Cheater, O.N. 150958 (Ch.). Pte. Frederick Church, R.M.L.I., No. Ch/17950. Ldg. Sea. Charles Clayton, O.N. 200728 (Ch.). Ldg .Sea. Frederick Thomas Fryatt, O.N. J15046 (Ch.). Shipwt., 1st Cl., Arthur Gordon George, O.N. 342930 (Ch.). Ch. Arm. William Henry Huelin, O.N. 171443 (Ch.). Ch. Elect. Art., 2nd Cl., John Bennett Hutchings, O.N. 345872 (Ch.). P.O. Teleg. Edward Charles Johnson, O.N. 240035 (Ch.). C.E.R.A. Robert Forrest Taylor, R.N.R., O.N. 1024E.A. Maj. Harold William Iremonger, R.M.A. For services with the Royal Marine Artillery Siege Gun Detachment in Flanders. Organised a group of six 7.5 in. guns in February, 1918, and has brought it to a very high gunnery standard. Has established and maintained extremely good and intimate liaison with the Belgian Artillery Authorities. Surg. Lieut. Walter Grimshaw Bigger, R.N. For services with the Royal Marine Artillery Siege Gun Detachment in Flanders. On the 29th May, 1918, while he was attending to the wounded in "Carnac" gun position a second shell burst in embrasure. Surgeon Lieutenant Bigger continued his work with noteworthy calmness and devotion to duty. The coolness under fire displayed by this officer on other occasions has gained for him the confidence of the officers and men under his medical charge. 2nd Lieut. Daniel Harding, R.M.A. For services with the Royal Marine Artillery Siege Gun Detachment in Flanders. On the 28th March, 1918, at "Carnac" battery, near Oost Dunkirk, after extricating himself from the debris caused by an enemy shell bursting in his gun position, displayed marked coolness in attending to the wounded and assisting to extinguish a fire. Has since shown zeal and devotion to duty on all occasions. Gnr. William Roland Ash, R.M.A., No. 959 (S). Gnr. Alexander Campbell, R.M.A., No. 1466 (S). Gnr. Walter Jackman, R.M.A., No. 1835 (S). Serjt. Lionel Robert Jacobs, R.M.A., No. 10685. Junior Reserve S.B.A. John Layland, O.N.M. 14816 (Dev.). S.B.S., 2nd Cl., Frank Edward James Morse, O.N. M.18972 (Po.). P.O., 1st Cl. George Rowe, O.N. 212126 (Dev.). Serjt. Edward Charles Sessions, R.M.A., No. 8436. Gnr. William Arthur Sewell, R.M.A., No. 14460. Pte. John Stevenson, R.M.L.I., No. Ply./ 18784. Gnr. John Alfred Taylor, R.M.A., No. 3391. Driver Albert Hicks, R.M.A., No. R.M.A./ 565(8.). Eng. Cdr. John Bladder Pulliblank, D.S.O., R.N. Maj. John Bird Chancellor, R.M.A. Lieut. Basil Nugent Downie, D.S.C., R.N. Lieut, (actg. Capt.) Thomas Francis Connew, R.M.A. Lieut, (actg. Capt.) Douglas Primrose, R.M.A. Driver James Baker, R.M.A., No. R.M.A./ 528(8.). Colr. Serjt. (actg. Warrt. Offr., 2nd Cl.) George Barton, R.M.A., No. 6273. Serjt. Mech. Laurence Albert Freeman, R.M.A., No. R.M.A./470(S.). Gnr. Walter Howells, R.M.A., No. 11516. Corpl. William Hutchins, R.M.A., No. 13080. Gnr. Eric John Marshall, R.M.A., No. 1819 (S.). Gnr. Alfred Harry Mason, R.M.A., No. 1817 (S.). Serjt. William Henry Rann. R.M.A. No. 4240. Gnr. Ernest William Rayson, R.M.A., No. 1705(S.). Pte. (Lce.-Bombr.) Reginald Leonard Turner, R.M.A., No. G/10094. Gnr. William Arthur Underwood, R.M.A., No.1818 (S.). Staff Serjt. Harold Williams, D.C.M., R.M.A., No. R.M.A./460(S.). Commander Neston William Diggle, R.N. For valuable services in command of ships of the Dover Patrol in action off the Belgian coast since September, 1915. Lieutenant-Commander Eberhard William Ernest Callwell, R.N. For valuable services on the Staff of the Vice-Admiral, Dover Patrol, and as Gunnery Lieutenant of H.M.S. "Terror." Lieutenant-Commander William Simon Fraser Macleod, R.N. For valuable services as Navigating Officer of H.M.S. 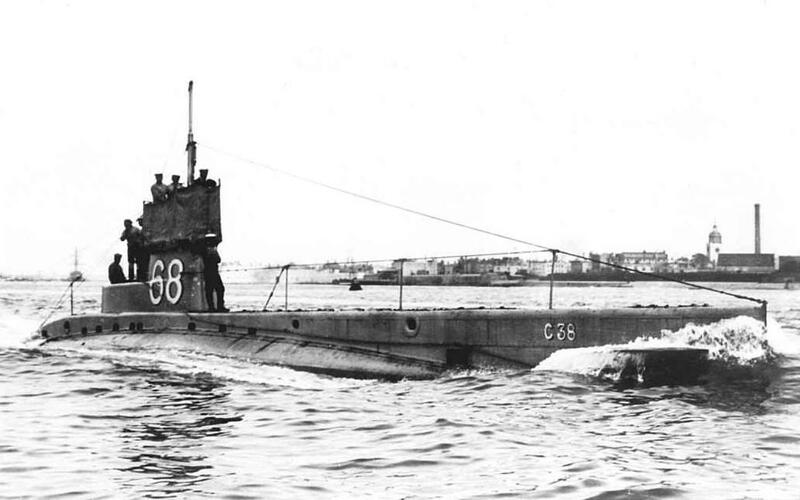 "Erebus" off the Belgian coast since August, 1916. Lieutenant Henry Maurice Chidley Purdon, R.N. For valuable services as Navigating Officer of H.M.S. "Prince Eugene" off the Belgian coast since August, 1915.